One of my most popular posts each years is my Giving Tuesday post, which commemorates a national day to reject the crass consumerism of Black Friday and Cyber Monday by promoting charitable donations. Organized by #NotOneDime, Giving Tuesday encourages each of us to make small (or large) gifts to any non-profit organizations. Giving Tuesday typically publishes a database of non-profit organizations that will receive your donations, but I’ve found in the past that AANHPI were woefully underrepresented. So, for the last several years, I have published my own (long, but not comprehensive) list of quality AANHPI non-profit organizations to support for Giving Tuesday (2014 | 2015). This year is no exception: after the jump you’ll find 2016’s updated list of great AANHPI-focused non-profits — all of which could use a donation from you this year. Before we get to the full list, however I’m going to give you my personal top five picks for 2016. This is, of course, a tough list to make since I think every organization in the larger list deserves our charitable support. But, these are the groups I’ve decided to give a few if my dollars to for Giving Tuesday 2016. NAPAWF is a national organization that focuses specifically on advocacy for AANHPI women, with one of their primary interest areas being reproductive rights. They have been very active in elevating the voices of AANHPI women in the current fight to defund Planned Parenthood, and even in the fierce urgency of the moment with regard to the fight to preserve abortion access, NAPAWF has done an excellent and necessary job injecting race into the national conversation, and I donate to them annually. AALDEF has done critical work this year to champion and protect AAPI voters’ rights. This past year, they brought to the forefront the suspicious purging of thousands of names from New York City-area voter registration lists, disenfranchising predominantly AAPI and Latinx voters. AALDEF also lead a herculean effort to conduct an Election Night exit poll that contacted thousands of AAPIs voters casting their ballots in 14 states; that survey revealed how inaccurate national exit polls used by mainstream media — and which woefully undersample Asian Americans and other voters of colour — really are. With regard to voting rights, I also strongly support the work of APIAVote, which made my Giving Tuesday list last year. SEARAC is a national organization that focuses predominantly on advocacy for Southeast Asian American communities such as Cambodian, Laotian and Vietnamese Americans. This past year, their tireless advocacy resulted in the passage of The AHEAD Act in California, which provides crucial disaggregation of state-collected demographic data so that socioeconomic disparities that disproportionately impact Southeast Asian Americans can be identified and addressed. EPIC is another of my favourite organizations, which focuses specifically on advocacy for Native Hawaiian and Pacific Islander communities. EPIC also with SEARACH to champion The AHEAD Act in California, along with their fellow co-sponsors of the legislation, CPEHN and APIAHF. SAALT advocates for the South Asian Americans by connecting the community with elected officials in Washington D.C. on a variety of issues, including immigration rights, racial justice and gender justice. Last year, I also highlighted the work of The Sikh Coalition, which does fantastic work to represent the interests of the Sikh American community. Also, I try to pick a local organization every year. I ran out of space in this year’s Top 5, but I’ve strongly supported the work of Boston Chinatown Neighborhood Center for quite some time, and so also chose to donate to BCNC this year. 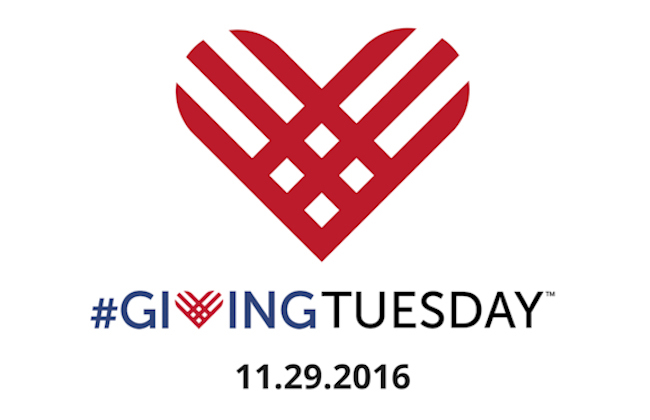 I encourage you to make a Giving Tuesday donation this year to one or more of the listed organizations in this post. You can either join me in giving to one of my 2016 Giving Tuesday Top 5 (above), or you can pick any of your favourites from the larger list of equally deserving organizations (after the jump)!